It’s been almost a week since the 4.06r05 hub update was released that brought support for some yet to be released devices along with the usual “performance enhancements and bug fixes”. Outside of the issues I’ve recently encountered which I’ll cover shortly, I haven’t seen any firsthand reports of problems associated with the update. Also receiving significant mentioned in the release notes was a mobile app update bumping the version to 1.9.40 for both the iOS and Android apps. This update will bring a fix targeted towards secondary users and their PIN codes and also the ability to upgrade the hub from within the app. So far the mobile app updates have not been released and after a week, it’s unlikely at least for iOS that Apple’s review process is the reason for the delay. On my system, it has been a few days since the update was installed to one of my hubs and for a short time the system operated normally. That all changed as I was reconfiguring Iris Monday when I noticed the Alarm Widget presenting me with an ominous warning about my alarm system. 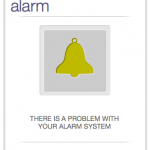 There is a problem with your alarm system. 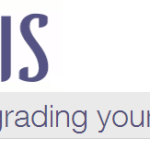 In fairness to Iris, it has been a long time since I have experienced any problems with a hub update and there are no guarantees this outage is in any way related to the update. 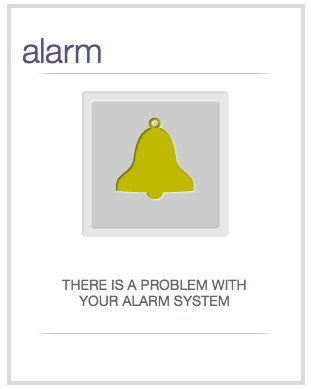 While it is distressing to know that my alarm system has been rendered inoperable I have confidence that Iris support will come through with a fix. 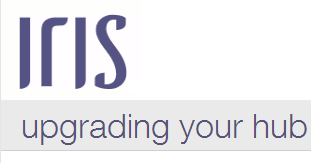 The problem has been reported to Iris support and a follow up will be posted when the system is fixed. In the meantime, please share your own experiences with the hub update by leaving a comment below.